The world first UHF pager in a coaster! Its design is virtually indestructible. Ofter copied, never duplicated. Features patented, any-orientation, stack charging. Free guests from being tied to the waiting area. 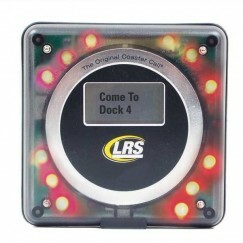 LRS invented the first stacking coaster pager that started the guest paging revolution. 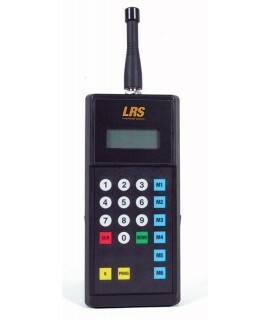 With its patented charging system, LRS coaster pagers can be charged in any direction ensuring a consistent and reliable charge every time.With our 16 years of experience focus, and innovation, LRS continues to redefine the onsite paging industry with customer-driven features. With our shock absorbing bumper and Lexan case, LRS now boasts that our coaster pager is the most durable guest pager in the industry. 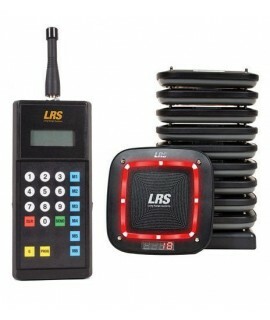 In addition, LRS pioneered the first anti-theft, auto-locate and tracking features to reduce loss to an absolute minimum. 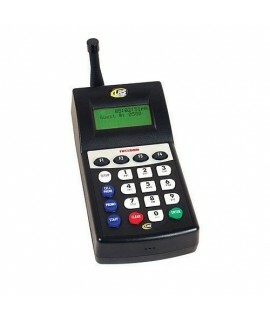 UHF frequency FM (420 – 470 MHz) penetrates walls, ceiling, and floors more effectively. Shock-absorbing bumper minimizes damage when pagers are dropped. Onsite reprogrammability - optional programming charger needed. 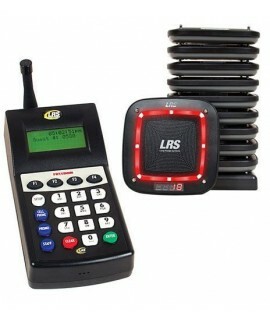 Any-orientation stack-charging system, means pagers can be stacked in any direction. Rechargeable nickel metal hydride battery. Vibration, flash, beep, and glow alert modes. Front and top view coaster numbers. 4 charging pins ensure the best charge. Battery life is approximately 48 hours on a single charge. Overall size: 4" x 4" x .75". Tracking mode - continuously repages until coaster is returned.